Happy New Year to everyone! As we start fresh in 2013 and look forward to magical moments ahead, it seemed like the right time to give out some Hakuna Matata wishes. The theme at Focused on the Magic this week is for your January calendar shots. The two below and the messages seemed rather appropriate to start the year off with. Great messages and pictures for the start of the new year! Both would make perfect calendar covers for 2013. Thanks for sharing and for joining in the WW Blog Hop! Best wishes to you and your lovely family for the new year! Hakuna Matata- what a wonderful phrase…! No worries to you too!! I can not wait to see the rest of AOA. When we were there this summer they only had cars and nemo open. Hakuna matata and happy new year to you! And I can’t wait to see that resort!! Love your photos from the Art of Animation. I can’t wait to see it for myself! Great sentiments for the start to the New Year. 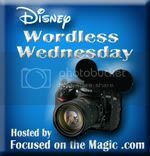 Elle´s last blog post ..Wordless Wednesday Disney Style! Beautiful and fitting images and messages for the new year! Wishing you the very best in 2013!